On this last trip we took my two-year-old niece for the first time. It was magical watching her reactions. She loved the sand, called out to the boats, and chased the seagulls. She was a bit frightened of the ocean, but she did hold my hand and put her feet in the smallest waves. We had an amazing time. I haven’t begun my yearly search for new beach books. I find they tend to hit my library after the summer is over. Oh, well. Instead, I’m reposting three of the ones I talked about last year so that you can find them in time for your own beach trip. Enjoy. 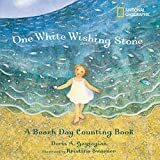 One White Wishing Stone, by Doris K. Gayzagian, is the story of that search for the perfect gifts from the sea. The little girl finds many treasures in her path that will be familiar to all beach goers. While the elusive starfish is found in a tidal pool, she is also impressed with the eight skate egg cases she finds on the sand. 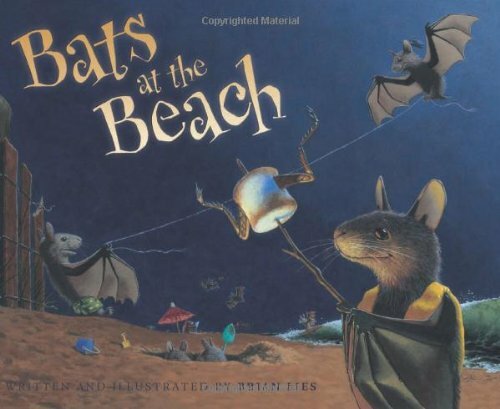 Having never seen skate egg cases represented in a picture book, despite having seen them all over the beach, I am impressed with the things that the author chose to highlight of the beach experience. One White Wishing Stone is a counting book with simple — if lovely — text. The illustrator, Kristine Swarner, brings you along on this lazy, lovely day on the beach. Look at the cover with the little girl beckoning you into the waves. Don’t you want to go now? You should check out Duck Dunks by Lynne Berry and Hiroe Nakata. Good choice for toddlers- lots of numbers and adorable illustrations. You must - must - MUST find Wave by Suzy Lee, a wordless picture book from Chronicle that is high on my list of contenders for a possible Caldecott. Yes, really.